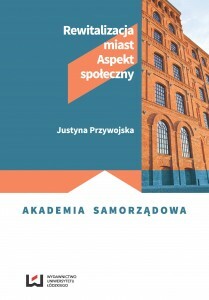 Redakcja czasopisma naukowego „European Spatial Research and Policy” zaprasza do przesyłania tekstów do numeru 1/2020. abstraktów (300-500 słów): do 30 marca 2019 r.
artykułów: do 1 września 2019 r.
Planowana data publikacji tomu: czerwiec 2020 r.
Periodyk jest afiliowany na Wydz. Nauk Geograficznych Uniwersytetu Łódzkiego. 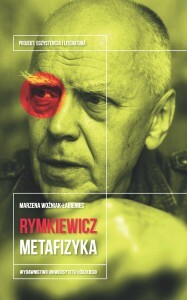 Wszystkie artykuły ukazują się na licencji Open Access. Czasopismo jest indeksowane w bazach: Web of Science, SCOPUS, EBSCO, DOAJ i in. The modern economy has transformed the spaces that work is organized in. High-tech industries and advanced business services are offered both from permanent firm locations and temporary settings. The first type is represented by various innovation districts (Katz & Wagner 2014, Katz et al., 2015), business or technology parks and incubators, whereas the latter by multiple venues of a temporary nature such as fairs, conventions, business meetings, etc. Work is also performed at multiple places such as customers’ locations, co-working spaces (Parrino, 2015, Kojo&Nenonen, 2017), open creative labs (Schmidt, Brinks, 2017) and fabrication laboratories (FabLabs) (Pauceanu&Dempere, 2018; Suire, 2018). Various social and organizational factors impact the growth of creative and collaborative places. This includes (Schmidt et al., 2016, Schmidt & Brinks, 2017) increasing project-orientation of work which influences forms of organizing work and labor, growing number of firms following the ‘open innovation’ model, more community-led urban regeneration, and unusual players involved in entrepreneurial agency. Both in permanent and temporary settings, work may be performed in close spatial proximity. Studies of the interplay between physical proximity and knowledge interactions provide mixed evidence on its range and importance. On the one hand, there is growing concern that ‘co-working places appear to be more about people and connectivity than physical spaces themselves’ (Kojo&Nenonen, 2017, 171). Not only the physical milieu, but also co-location alone should not be claimed to stimulate networking and collaboration (Fuzi, 2015). Following this approach, it is social or organizational proximity (Parrino, 2015) that facilitate knowledge interaction. However, in the context of “innovation districts,” Katz et al. (2015) emphasize the increasing value of “place” in stimulating knowledge interactions and collaboration. It is the belief that physical assets affect the vibrance of communities and knowledge interactions. To sum up, it must be argued that geographic research on knowledge interactions does neglect the link between social context and physical place (Rutten, 2017). There is still a scarcity of research that deals with interrelations between organizing work and the materiality of co-working spaces. Both temporary and permanent settings should be regarded as spatial manifestations of the relation between knowledge interactions and physical space. Hence, the issue on involved spatial scales has arisen. Even if knowledge creation takes place within global knowledge communities, it is shared in a particular open creative lab (Schmidt & Brinks 2017). Hence, all co-working spaces may be regarded as local anchors for global knowledge communities and places which link and enhance local buzz through global pipelines (Bathelt et al., 2004). implications for regional and local development including participation of workers in co-working spaces in local community initiatives, their contribution to urban regeneration, and micro-scale physical transformations (Mariotti et al., 2017). Fuzi, A. (2015). Co-working spaces for promoting entrepreneurship in sparse regions: the case of South Wales. Regional Studies, Regional Science, 2(1), 462-469. Katz, B. Vey, J.S., & Wagner, J. (2015). One year after: Observations on the rise of innovation district. Brookings, June 24, 2015,. Katz, B., &Wagner, J. (2014). The Rise of Innovation Districts: A New Geography of Innovation in America. 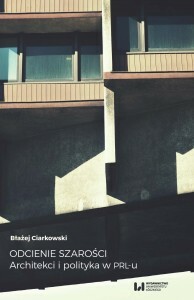 Brookings, May 2014, https://www.brookings.edu/essay/rise-of-innovation-districts/. Kojo, I., Nenonen, S. (2017). Evolution of co-working places: drivers and possibilities. Intelligent Buildings International, 9(3), 164–175. Mariotti, I., Pacchi, C., & Di Vita, S. (2017). Co-working Spaces in Milan: Location Patterns and Urban Effects, Journal of Urban Technology, 24:3, 47–66. Maskell, P. (2014), Accessing Remote Knowledge : The Roles of Trade Fairs, Pipelines, Crowdsourcing and Listening Posts. Journal of Economic Geography, 14(5), 883-902. Maskell, P., Bathelt, H., &Malmberg, A. (2006). Building global knowledge pipelines: The role of temporary clusters. European Planning Studies,14(8) 997–1013. Parrino, L. (2015). Coworking: Assessing the Role of Proximity in Knowledge Exchange. Knowledge Management Research & Practice, 13, 261–271. Pauceanu, A.M., &Dempere, J.M. (2018). External factors influencing Fablabs’ performance. Journal of International Studies, 11(2), 341–351. Power, D. &Jansson, J. (2008). Cyclical Clusters in Global Circuits: Overlapping Spaces and Furniture Industry Trade Fairs. Economic Geography, 84(4), 423-448. Schmidt, S, & Brinks, V. (2017). Open creative labs: Spatial settings at the intersection of communities and organizations. Creativity and Innovation Management, 26, 291–299. Schmidt, S., Ibert, O., Kuebart, A., &Kühn, J. (2016). Open Creative Labs in Deutschland: Typologisierung, Verbreitung und Entwicklungsbedingungen. Erkner. Suire, R. (2018). Innovating by bricolage: how do firms diversify through knowledge interactions with FabLabs? Regional Studies, DOI: 10.1080/00343404.2018.1522431. Issue due to be published by the end of June 2020. 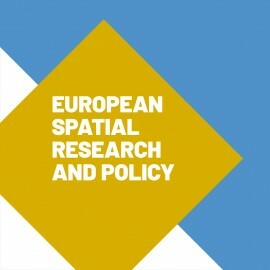 If you are interested in submitting a paper to the Special Issue of ESR&P, please send your abstract (300-500 words) to Grzegorz Micek (grzegorz.micek@uj.edu.pl) by the end of March 2019. The journal is indexed in Web of Science Emerging Sources Citation Index and SciVerse Scopus.